The Massachusetts Supreme Court unanimously agreed that remaining drug-free is an acceptable term of probation. Though defense attorneys claim that this is a criminalization of drug addiction, the court found that, in light of the opioid crisis and the facts of this case, the punishment fit the crime. In this case, Julia Eldred, a 29-year-old dog walker, stole $250 worth of jewelry from her client's house in order to buy heroin to feed her addiction. She was put on probation for a year, with the terms being to go to rehab, remain drug-free, and submit to random drug testing. Eldred, though under doctor's rehab care, tested positive for fentanyl just 12 days after receiving probation, and was thrown in jail. What's the Underlying Crime? Theft or Purchasing Illegal Drugs? The defense argued that remaining drug-free should have nothing to do with the crime of theft and therefore unconstitutional because it is criminalizing her addiction. The judges disagreed, believing the defense was misdirected. 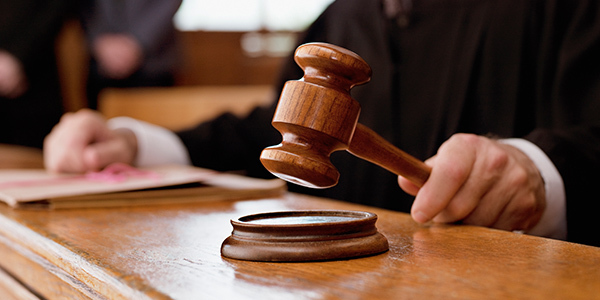 In this case, the judges felt "the conditions (or parole) directly addressed the defendant's personal circumstances and, significantly her stated motivation for committing the crime -- purchasing illegal drugs." Is It Cruel and Unusual Punishment to Detox in Jail? A more pressing question is whether a proven heroin addict can be placed in a prison, rather than an incarcerating rehab facility. Unsupervised withdrawal from heroin addiction can result in severe vomiting, diarrhea, dehydration, and even death. However withdrawal, while excruciating, is rarely life-threatening if medication, monitoring, and intravenous fluids are available. Is it cruel and unusual to force heroin addiction withdrawal in prison, rather than rehab? And if it results in death, is the state liable, since it approved of the parole condition and ordered incarceration, knowing of the addiction? To date, the answer to that is no as well, or perhaps "not yet", since a lawsuit was recently filed in Central Virginia with this same allegation, seeing $22.5 million in damages. Judges are not trained to decide scientific matters. When there is scientific evidence to prove both the district attorney's position and the defense's, judges need to make a decision based on law and compassion, and not science. In this case, the judges felt they had enough experience with the opioid crisis to know that Eldred needed help if she was to beat her addiction. And they also believed that judges should have "flexibility at each stage of the process" in sentencing drug addicts because of the "rehabilitative goals of probation". In deciding how Eldred truly rehabilitate so that she never purchases illegal drugs again, the court decided jail was the best answer. Time will tell if their answer was right, or fatally wrong. Hopefully scientist will help get to the bottom of this war and its victims. No one is immune from this epidemic. Not Sergeant's that handle fentanyl-laced fliers placed on cars, nor even the Center for Disease Control Director's son. If you or someone you know has suffered from detoxing in prison or feel their civil rights have been violated while incarcerated, contact a local criminal defense attorney who can listen to your account and advise you of your rights.